There’s no doubt that Match is amongst the most popular online dating sites in the world. A serious dating site that has managed to conquer millions of hearts with its efficient matching system and great and fun events to meet other singles! Some people may think that if they opt for a specialized dating site, they will be more successful in their search for love; however, Match’s results speak for themselves. It is a dating site that really does work. Discover the number #1 in dates, relationships, and marriages. Match has created more than 10 million relationships only in the US, are you ready to start your love story? Match: How does it work? Creating an account with Match is totally free, but it will require you to invest some time to complete their comprehensive questionnaire. The first step will then consist in signing up to the dating site. Registering to Match is easy and very fast. The first step will be to add your email address, a password, your date of birth as well as to state if you are a woman or a man. Once this information is completed, Match will ask you to enter your name. You will also receive an email with the confirmation of your registration which will also send you the direct access to start creating your profile, to share some of your pictures and to start a conversation. After having signed up to the site, you’ll be directly redirected to the dating questionnaire. Keep in mind that you can always skip it if necessary (you will see the option on the right corner at the top of the page) however, we strongly recommend you to take the test as it is an essential part of your online dating experience which will have a direct impact in your success. The matchmaking test will help the matching system to gauge your similarities with other profiles and therefore send you accurate potential matches. It’s in your best interest to fill this questionnaire as accurately as possible as it will be what will determine who you will be matched with. The Match profile is separated into multiple sections. You’ll also be asked if you’re looking for something specific in a partner (such as salary, religion, body type, etc). Finally, you’ll reach the last part of the dating questionnaire in which you’ll have the opportunity to tell Match a little about yourself (in 100 characters maximum). Keep in mind that you’ll be able to change your description at any point. There’s a very interesting option called “member spotlight” which will allow you to increase your chances of being seen by potential matches by appearing on Match and its partner’s channels. If you would like to be considered for this feature, you will need, according to Match, to complete your profile with a “clear, attractive photo of yourself alone” plus a well-written description with information about the gender and the type of person you’re looking for. Undoubtedly, a great way to stand out from your competition! Sometimes profiles can be one of the hardest things to create. How to talk about yourself in an attractive way? Match has gone a step further and has created a guide to help you write your profile. The guide is pretty simple. Match will give you different options and you will just need to choose the ones that sound more like you. Once you’ve completed it, you will have the option to upload pictures. You’ll have the chance to upload up to 20 pictures. As Match recommends, a profile with photos gets 20 times more views, so don’t be shy! Match has a great and very dynamic community of singles looking to meet interesting people. 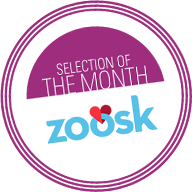 We especially like the way Match creates different local events to help singles meet. The online dating site is also very intuitive and interactive with the users. Match has also become extremely famous for is dating studies that include Singles in America, their recent survey about Dating after 50, or their very interesting study on LGBTQ Single population. On top of that, Match continuously updates its features to improve its user experience. As such, one of the latest (and very interesting feature!) has been “Missed connection” a great way to help singles meet not only online but also in the real world. After completing the questionnaire, you can look for potential partners with the search function and enter any criteria you would like your match to have. Another option is to let Match provide you with potential matches based on your profile. You can receive periodic emails with the matching profiles if you choose to do so and Match will also save your search criteria for future searches. The search functions are really flexible and designed to get results. You can use “winks” to express your interest in someone or you can choose to send them an email or use the instant messaging function to communicate more directly. Match produces “match words” from your biography. These are searchable keywords which you should check and delete if they don’t describe you or add more that do. Check Match blog to find out about the best dating tips and advice. Match has created a very simple interface to allow an easy and efficient online dating experience for its users. On the top of the page you’ll see the main menu options: matches, discover, messages, interests and events. In this section, you will receive on a daily basis an average of 11 potential matches based on your profile information. It is a rather interesting feature as you will be able to check the percentage of compatibility you both have, as well as you’ll have the option to check your match’s pictures and profile information. If you like your match you can click on yes, or you can skip to the next profile suggestion. If you like the sound of a profile and you click on “yes”, you’ll see how Match helps you start a conversation by sharing with you her/his interests! In this section, you’ll be able to choose from 5 different options: search, mutual match, reverse match, saved searches, username search. Match has developed a complete search filter tool to help you target in the most accurate way possible your dreamed partner. You can play as much as you want with this search tool and if you create search criteria that seems to work really well, you can always save it to try again later! According to their official website, Match Events was launched in May 2012 and has since hosted nearly 300 events every month in 80 different countries with an average of 400 000 attendees. Match has managed to create a vibrant scene solely dedicated to singles. We highly recommend you to check the different events and activities organized by Match in your region. If you want to have fun and meet cool people, we couldn’t think of a better way of doing so! The official Match blog is a must-go place. You will find dating trends, the new rules of dating, success stories and many dating tips! You will also be able to browse singles, read about great success stories, discover Match events and read about the most interesting characteristics of singles in America. Match is 100% safe. There is no sharing of your personal information with third-party sites and you can contact Match with regarding other members. Match has a great customer service. If you have any questions, you can go to match community where you will find all the possible answers to any potential doubt you might have. As such, you will find a very complete FAQ with detailed information about your account settings, billing and subscription settings, member communication, paid features & power-ups, profile and photos, searching and matching and technical issues. If however, you don’t find the answer to your doubt, you can always contact them via email from Monday to Friday from 8 am to 5 pm. Match is one of the biggest players in the online dating field, a great place that has had lots of successful stories! This site really does work and has a dynamic user base, so you can be sure to find someone that could potentially be your soulmate. This online dating site has a large user base, a great advantage that will help you to find someone that could potentially be your soulmate. In the US, 1 in 3 relationships started online. 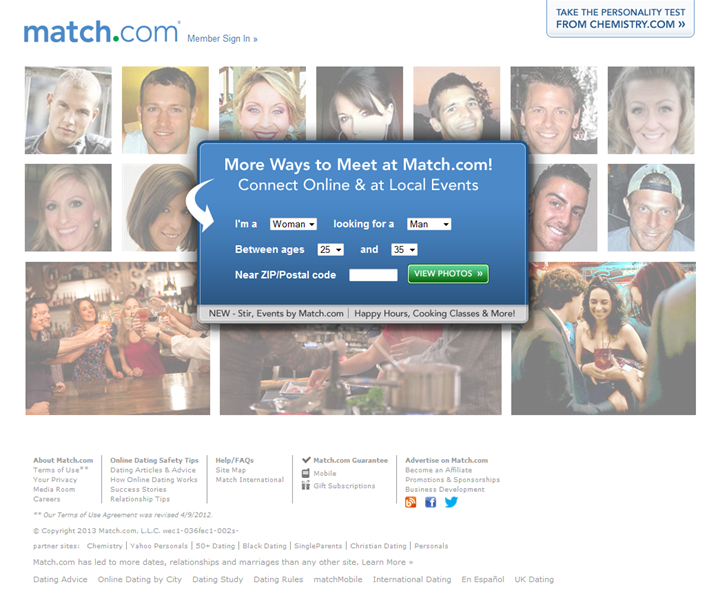 Match perfectly understood how to develop a great and very competent online dating site! With sites in 25 different countries and online dating sites translated into eight different languages, Match has managed to create a great user experience on the go! Match app is very powerful and includes app-specific features such as the stream and mixer. Indeed, a very recommended online dating sites that have the best-in-class open search and algorithm matching as well as new features which are added on a regular basis to help singles make a meaningful connection in the most efficient way possible. According to their media room, Match is the number 1 app and online dating site in terms of success stories (including dates, relationships and marriages). The key to their triumph? “95% of Match members are open to a relationship with the right person”. If you’re looking to find a great partner with whom you’ll share interests, we highly encourage you to try Match!